The natural beauty of Virginia’s Piedmont is at its most dramatic in Rappahannock County, where the majestic Blue Ridge gives way to rolling hills, rambling streams and rivers, pastureland with grazing cattle, birding and wildlife trails and the charm of historic villages. Visitors come to relax in Rappahannock — to enjoy the beauty of a sunrise or sunset, or the brilliant stars of a country-dark sky — or to seek outdoor adventures, including in adjacent Shenandoah National Park and Skyline Drive. Add to this world-class classical, operatic, chamber, jazz and folk concerts and theater; seasonal, family-friendly events; sustainable farms and award-winning wineries; a distillery; vibrant art and artisans; photography and antique treasures; steeplechase races and an active hunt community; and gourmet dining — including the historic Town of Washington, founded in 1796, which serves as the county seat and is home to the five-star, five-diamond Inn at Little Washington. 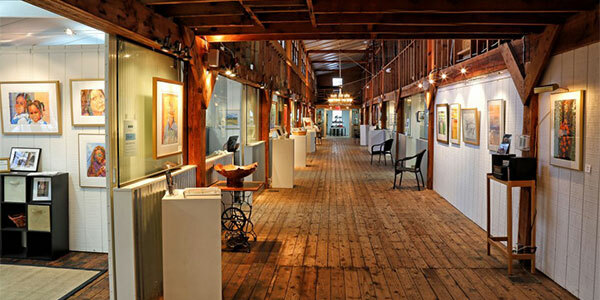 Rappahannock County is located in Virginia’s Piedmont Region, a destination rich in natural beauty, American history, farmlands, quaint towns and inns, wineries and fine dining. 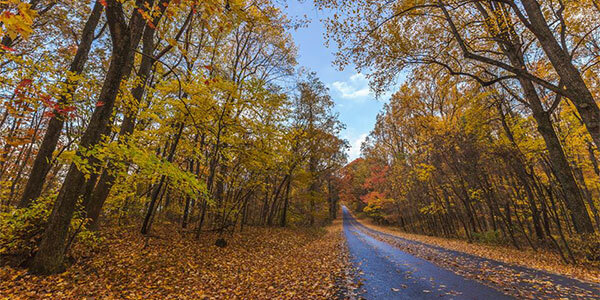 With Shenandoah National Park and Old Rag Mountain in its backyard, Rappahannock County offers stunning Appalachian views from its scenic byways that traverse the rolling hills of its countryside. Country drives lead to the historic Town of Washington and to such quaint villages as Sperryville, Flint Hill, Woodville, Chester Gap and Amissville. The Blue Ridge Mountains have always been an integral part of the county. In the 1800s, many families took advantage of its forests, minerals and fine highland grazing pastures to carve out distinctive lifestyles that are now part of the county’s heritage. 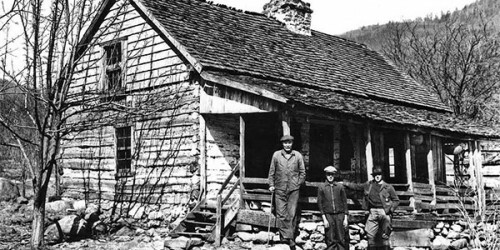 Depletion of natural resources, shifting economic trends and the establishment of the Shenandoah National Park in the 1930s brought an end to this traditional mountain life. Families were moved to “resettlement” areas along the base of the Blue Ridge. Memories of the colorful past are treasured by their descendents. Rappahannock County’s early settlers were small farmers, primarily of English descent, but also Scotch, Irish and German. Rappahannock was designated a distinct county in 1833 and took its name from the river that has its source in nearby mountain springs, and which flows east through Fredericksburg and into the Chesapeake Bay. In July 1749, a 17-year old George Washington noted in his journal, “in the Blue Ridge Mountains . . . I laid off a town.” The young surveyor, assisted by two chainmen, laid out the Town of Washington in the same five-block by two-block grid that exists today. 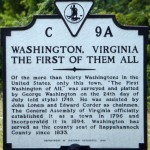 The town officially was established by the Virginia Assembly in 1796. Though there are now 28 Washingtons in the United States, this is “The First Washington of them All.” Today Washington serves as the county seat and is home to the famous The Inn at Little Washington, as well as country inns, shops and galleries. Historic villages include Woodville (1803), which thrived until the 1920s when a tornado destroyed much of the town. Today, it is a beautiful but smaller version of its original self. Amissville (1810) and Sperryville (1820) lie near the eastern and western boundaries of the county. They were originally important waypoints on the series of turnpikes that ran across the Blue Ridge and eastward to the port at Alexandria. Flint Hill (1820s), lies astride the historic Richmond Road, once a major thoroughfare from the mountains to the state capital. On the same road at the northern edge of the county is Chester Gap. This mountain passageway offers panoramic vistas of the Piedmont on one side and the Shenandoah Valley on the other. While there were no large-scale military actions in Rappahannock County, several dozen skirmishes and many troop movements occurred here. As a gateway to the northern Shenandoah Valley, the county was a major thoroughfare for Union and Confederate forces on a number of occasions. It was also on the southern edge of the territory known as (Col. John) Mosby’s Confederacy. Three important regional roads, the north-south Richmond Road and Sperryville-Thornton Gap Turnpike and the east-west Warrenton-Rappahannock Turnpike would witness the passage of most or all of Robert E. Lee’s Army of Northern Virginia in the campaigns of 2nd Manassas, Antietam and Gettysburg. The fords near the headwaters of the Rappahannock River would play important roles in each of these movements. In the most notable military encounter here, Gen. George Custer would be lucky to escape with his life following an attack on the Confederate Army at Newby’s Crossroads during the army’s retreat south after Gettysburg. Confederate Gen. JEB Stuart lost half of his mustache (and nearly his life) during a sharp exchange with Union forces at Corbin’s Crossroads near Amissville. The Union Army of Virginia under Gen. John Pope occupied the county during the summer of 1862, bringing with it the deprivations of “total war,” a strategy designed to inflict pain upon civilians supporting the rebel army. Many residents left the county to find refuge away from the war zone. Pope’s army had its own difficulties. Many hundreds of cases of typhoid fever occurred within its camps between Sperryville and Gaines Crossroads (BenVenue). Of the roughly 6,000 white residents in the county in 1860, more than 1,000 men served in the military during the war. Most joined Rappahannock-based units (e.g., Flint Hill Rifles, Sperryville Sharpshooters, etc.) in the regular Confederate army. Others became members of Mosby’s partisan rangers. Although Southern sentiment dominated residents’ reasons for service, several Rappahannock natives joined the Union army and several were members of the United States Colored Troops. More than 100 county soldiers were killed in action and at least another 80 died from wounds or disease. Rappahannock units participated in many of the important campaigns of the war including 1st & 2nd Manassas, The Seven Days, Antietam, Chancellorsville, Gettysburg, Spotsylvania and Petersburg. A few were present at Appomattox. In 1860, there were some 3,520 slaves and 312 free blacks in Rappahannock Country. A number of well-preserved slave quarters provide stark reminders of the lives and circumstances of these forgotten people who played a major role in county history. For more information, visit our Civil War in Rappahannock County website, where you will find a complete list of the Civil War Trail Markers in the county, along with descriptions and a comprehensive map. Prior to the Civil War, slavery was a part of most of the farms and estates in Rappahannock County, and descendants of those slaves make up a large part of the current African American population. After emancipation, many African Americans were engaged in farming, while others were blacksmiths, stonemasons and bricklayers. When jobs were at a premium during various periods, some family heads moved north and/or west to find work to support their families. Local black churches formed during and after reconstruction became not only houses of worship but also cornerstones of social interaction and strength. Two major foundations encouraged the education of African Americans. The Anna T. Jeans fund of 1908 was designed to aid in making shop work, homemaking and vocational skills part of the curricula. In 1917, Julius Rosenwald, president of Sears Roebuck, created a foundation to donate funds for erection of schools for African American children. 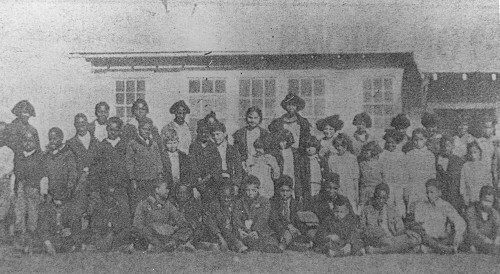 Rappahannock County had three Rosenwald schools: Flint Hill, Amissville and Scrabble. The Scrabble School, opened in 1921 and closed in 1967, is the only remaining Rosenwald School. Abandoned and nearly forgotten after it was closed, Scrabble School re-opened in 2009 after an extensive restoration. The building is now the home of the Rappahannock Senior Center at Scrabble School. It also houses the Rappahannock African-American Heritage Center, which features an exhibit that tells the story of the school, the community it once served, and its place in local, state, and national history. Please visit scrabbleschool.org for more details. Guide My Feet, Hold My Hand by Mary Goins Gandy is the story of Goins’ great grandmother Kitty Payne, who was emancipated, kidnapped, enslaved again, jailed and freed. In Beyond The Rim, James Russell relates the legendary oral history he learned from former slave Caroline Terry, his great grandmother. John Jackson, born in the county in 1924, became a noted blues musician and took his talent to the White House. Daniel Russell taught himself to read and write while enslaved and became a teacher in the county in 1871. Anna Green and Julia Boddie were responsible for educating many and instilling the highest of values in those they touched. In I Stretch My Hands to Thee, James Wilson Kilby, born in Rappahannock County in 1917, recounts his life and activism during the civil rights movement in Warren County. Most notable was the suit he filed in 1958, Betty Kilby et al. vs Warren County Board of Education, seeking to eliminate segregation. Isaiah Wallace, who was born in Rappahannock County in 1876, loved learning from an early age and worked tirelessly to organize people to obtain Rosenwald funding for schools both in Rappahannock and Culpeper counties. Experience our sustainable way of life in Rappahannock County, where traditional agriculture has given rise to specialized organic farming, orchards, vineyards and artisanal wineries. Organic meats and produce are available directly from local farmers or at farmers’ markets in the county and in Northern Virginia and Washington, D.C. Rappahannock’s artisanal wineries offer wine-tasting events as well as opportunities to work alongside owners in the vineyard at harvest time. 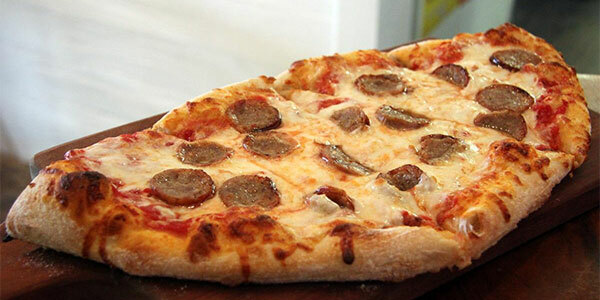 Local food markets are also great sources of products from the county. 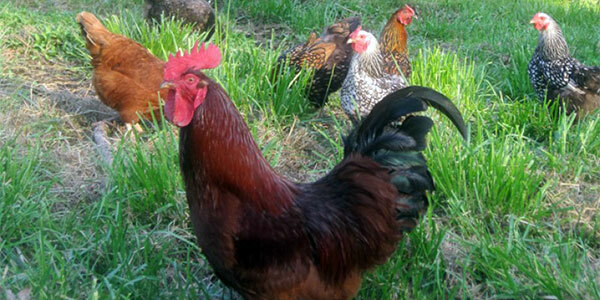 In addition to practicing sustainable agricultural practices, preserving the natural landscape and its inhabitants comes naturally to residents in Rappahannock County. Our local conservation organizations (see below) invite you to join them for workshops and volunteer efforts — a great way to learn, contribute to and experience the beauty of the countryside. Community involvement is a way of life in Rappahannock County, where volunteer organizations offer opportunities to contribute to every walk of life, from supporting the senior residents of the county to enriching the lives of students, fostering the arts and protecting the environment. Enrich your getaway experience in Rappahannock County by participating in community events sponsored by these organizations. Rappahannock Food Pantry — The Rappahannock Pantry is an all-volunteer nonprofit with the mission to assist all Rappahannock residents who need food. Opened in June 2009, the Pantry has been stocked since with fresh fruits and vegetables, canned and non-perishable foods, deli items, breads and bakery goods, frozen foods, and pet foods. Stop by during hours of operation to make donations or ask questions of Pantry manager Mimi Forbes or the rest of our dedicated volunteer staff. Hours are 9 to 11:30 (drop-off) and noon to 4 (pick-up) Tuesdays and Thursdays, and 9 to 10 (drop-off) and 10 to 2 (pick-up) Saturdays. 603 Mt. Salem Avenue, Washington VA 22747. Rappahannock County Lions Club — “The power of organized good” is the Lions’ goal worldwide, and for 51 years, the Rappahannock Lions Club has been the predominant community service organization in the county. The club’s fundraising efforts help finance a wide range of scholarships and community programs and its volunteer efforts are felt throughout the county. By using the Lions website, citizens are able to shop at Amazon.com and other stores, knowing that a portion of their purchases come back to the county and are donated in total to the local fire and rescue squads. The Lions meet at the Sperryville fire hall at 6:30 pm on the second and fourth Thursdays of each month. Information on joining the Club is available at the Lions website. Spots Williams, President. PO Box 132, Washington, VA 22747. Rappahannock Friends and Lovers of Our Watersheds (RappFLOW) — RappFLOW volunteers help to preserve, protect, conserve and restore water resources and watersheds in the county. They monitor the quality of water in streams and ponds, learn best practices for managing land to protect and conserve storm water and help to educate landowners and assist local government in protecting watersheds. RappFLOW, Box 132, Sperryville, VA 22740. Rappahannock League for Environmental Protection (RLEP) — RLEP strives for environmental protection of open space and the rural character of Rappahannock County and the preservation of natural and historic places, wildlife, ecosystems and farm economy. In addition, RLEP provides information and education on environmental issues and assists the community planning efforts of local governmental bodies. 291 Gay St., PO Box 94, Washington, VA 22747. 540-317-1449.